Yes, Karly and I are headed to The Big Easy to attend my best friend's wedding... wait, was that a movie? Anyway, the blog is going to be out of commission for the rest of the week, but more importantly I'd like to know what we MUST do in New Orleans -- besides drink. The last time I went to New Orleans was in paleolithic times, so I know things have changed. But there are still some iconic Louisiany things to do on the list. 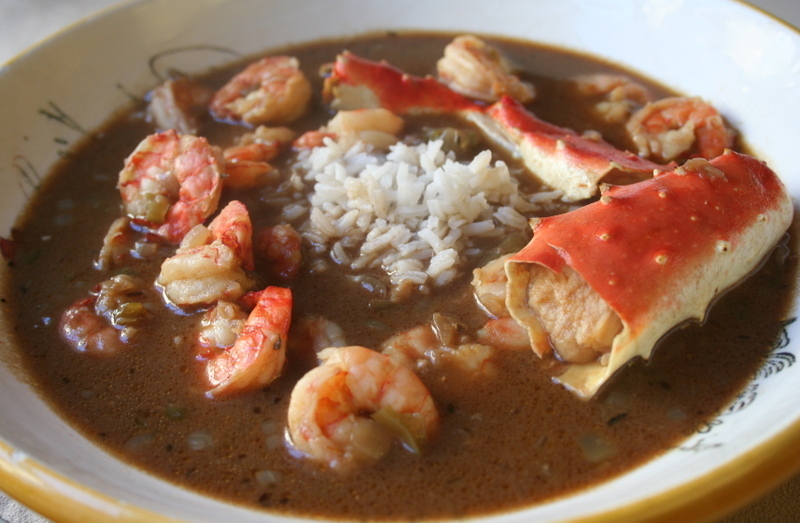 #1 is eat gumbo (and drink Abita). OH MY GOD. Like manna from heaven (amazing recipe here). So, I need to eat. A lot. And drink. A lot. Also, I would like to buy (affordable) things. Please help me to benefit the fine economy of New Orleans by purchasing vintage lighting and fantastic art. Thank you for your support. I like cemeteries and music, too. No really. That's my post. It's pretty much your post. Can you tell me where to go? Thanks. I love you long time.